You may or may not be aware that I live in Australia and we take our sport pretty seriously over here. At the moment we are enjoying a lovely summer, which means that we are also enjoying a cricket test series being played out by Australia and India. If you do follow the cricket, you will know that India is currently performing well below their best and has lost every game they have played so far. In the interest of sportsmanship I have decided a bit of recruiting is in order and I think I have found the perfect player to bolster the Indian attack. If you have spent any time investigating personal finance help online, then you would have come across Ramit Sethi. Ramit’s approach to personal finance is unique and his advice is very well recieved, it has certainly helped to shape my thoughts on the matter of personal finance and continues to do so. Given Ramit is such a powerhouse, I have decided that he would be the perfect candidate to help the Indian cricket side. Here are 6 very good reasons why he should play for India and what we can learn from them. I’ll be honest, the Australian cricketers are pretty good at heckling. Generally it can be a bit of fun, but it can also be a little intimidating for the opposition. When it comes to mixing it with the big guys, Ramit has no trouble in the verbal department and he always presents very well. I’d love to see Ramit out on a cricket pitch, I’m sure he’d give the opposition plenty to think about. You don’t need to be a gifted speaker, but presenting yourself in the right light is important. Impressions count, so consider your comments and actions both in business and in life. Business is just as much of a game as cricket is and being successful often comes down to how convincing you can be. If you can convince the opposition that you are unbeatable, they are immediately put on the defensive. Ramit is so convincing and markets himself so well, I often have no choice but to listen to what he says and do what he suggests. I think he would have the opposition rattled immediately. Being convincing is very powerful, if you can influence others (in a good way), then you are well on your way to success. A cricket match can last for 5 days and the deciding factor can often be how quickly you can break the resolve of the opposition. I read an article over at Buckinspire recently that talked about how Ramit (and Pat Flynn) almost made him quit blogging. This is the effect that Ramit can have on people that are working in his space, he sets the bar so high that it puts you off your game. How do you compete with someone that not only has an answer for everything, but also has a never miss system that works for the masses? It’s a tough act to follow. It is really easy to be humbled by the things that are going on around you and by others that do seemingly impossible things. Ignore that stuff and look for the things that you are good at and develop those instead, pretty soon others will be looking at you in the same way. If you are the fielding team in a game of cricket, then consistency is key. If you can continue to deliver the ball in the right place it is inevitable that the opposition will make a mistake. Ramit always delivers, he is consistent and his message is always pitched well. 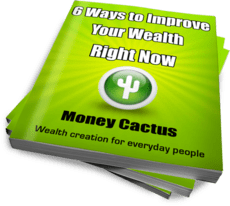 That sort of consistency is bound to get you results and having over 180,000 website subscribers is solid proof of that. If you are consistent at the things you do it is amazing what you can achieve, this is particularly true for creating wealth. Your starting point really doesn’t matter, if you keep doing the same thing over time, you will continue to see results. 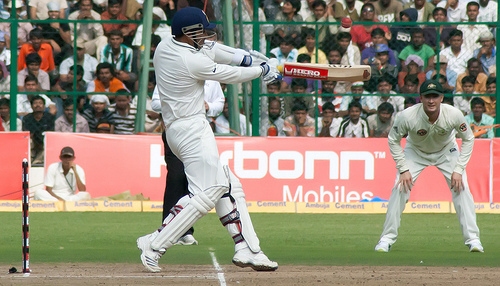 If you are the batting team in a game of cricket, then it is important to know which balls you should play for and which you should leave alone. Ramit is great at doing this as a business man, he actively tell people to go away if what he is saying doesn’t resonate with them. What is left are just those that suit his particular style. In life don’t try to be everything to everyone, it is impossible to do. In business focus on the things that align with your passions and skills, it makes the work a whole lot easier. The biggest single shot you can hit in cricket is a six. This often involves smashing a fast moving ball more than 90 metres through the air and over a fence. It thrills the crowd and must be an awesome feeling for the batsman. This is effectively what Ramit does when he opens his courses to his audience, the reaction is huge and they leave awesome feedback. Being able to strike such a successful chord must also be a very rewarding experience for Ramit as well. Not everything in life is thrilling, but when you have the opportunity to go big, take it. Pursue your dreams, create a memory and leave your mark. Do something that both you and others can be proud of and you can’t go far wrong.